The interior of the new ŠKODA OCTAVIA vRS is characterized by the vRS-Sport seats which provide plenty of lateral support thanks to high sides and integrated headrests. In addition to the leather/fabric combination, the sports seats are now also available in Alcantara as an option. The multi-function sports steering wheel (for DSG gearbox with shift paddles) has a perforated leather crown. Ambient lighting comes as standard. The recesses of the door handles are illuminated, the pedals shine in an aluminium finish, and the entry panels bear the vRS logo. ŠKODA-typical ‘Simply-Clever’solutions include an umbrella under the passenger seat and a removable LED lamp in the boot of the estate. 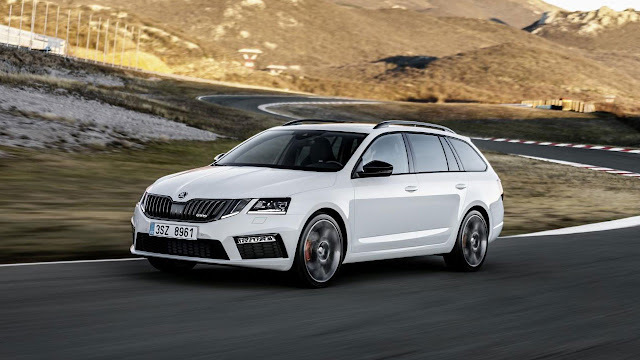 Progressive steering, Performance Mode Select with Performance Sound Generator (option), the stability program ESC with electronic cross barrier XDS+ and Dynamic Chassis Control (DCC) add to the intensive driving pleasure of the new ŠKODA OCTAVIA vRS. DCC allows the driver to choose between Comfort, Normal or Sport modes. The new engine of the ŠKODA OCTAVIA vRS 2.0 TSI provides 169 kW (230 hp) and has a maximum torque of 350 Nm at 1,500 to 4,600 rpm. The front-wheel drive sports model sprints from 0 to 62mph in 6.7 seconds. The model’s top speed is 155 mph. The combined fuel consumption is 43.4 mpg (149 g CO2/km; all values: hatchback with manual transmission). As standard, the ŠKODA OCTAVIA vRS 2.0 TSI is equipped with a manual 6-speed manual gearbox, optionally with a 6-speed DSG. In the ŠKODA OCTAVIA vRS 2.0 TDI, a diesel engine with an output of 135 kW (184 hp)and a maximum torque of 380 Nm from 1,750 rpm ensures acceleration from 0 to 62 mph in 7.9 seconds and a top speed of 144 mph. The combined fuel consumption is 62.8 mpg (119 g CO2/km, all values: hatchback with manual transmission). 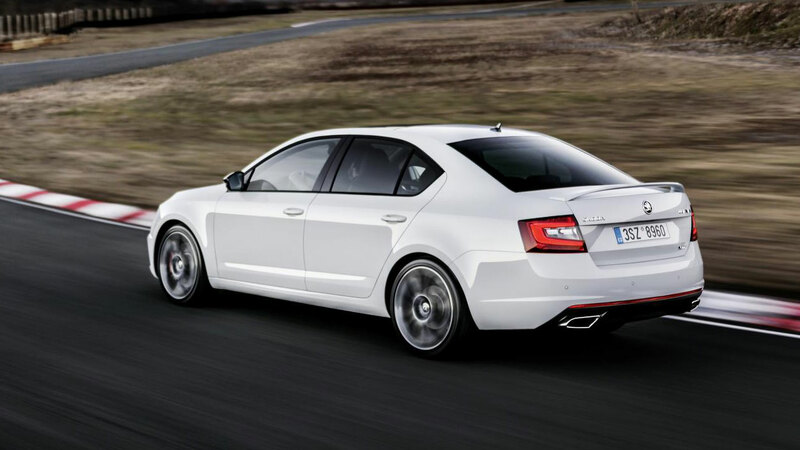 The ŠKODA OCTAVIA vRS 2.0 TDI is available either with front-wheel drive (manual or 6-speed DSG) or 4×4-wheel drive and 6-speed DSG. The abbreviation RS was first used for racing cars in 1974, and has been used for the top sporty versions in the ŠKODA model range since the year 2000, with the vRS moniker adopted for the UK market. 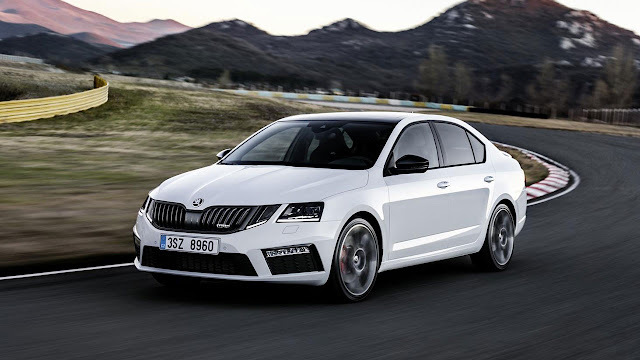 To date, more than 200,000 ŠKODA OCTAVIA RS and vRS models have been sold worldwide, of which 100,000 units of the third generation that was launched in 2013.